The device ID appears on the sticker on the back of the OBD reader (opposite side of the Hum logo). 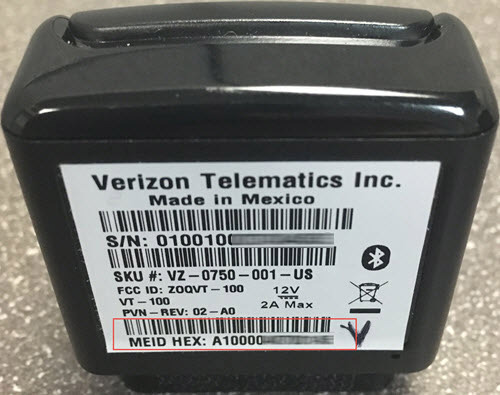 The device ID also appears on the sticker on the end of the Hum device packaging. If the ID can't be viewed from the device or the box, refer to Ver información del dispositivo - Sitio web de Verizon Wireless.